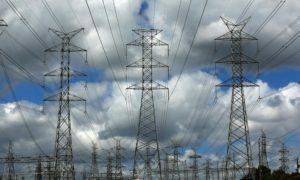 National energy company Ukrenergo on April 1, 2019 started accepting documents to register electricity market players, the company has said. Ukrenergo recalled that the registration is a mandatory condition for operation on the electricity market from July 1, 2019, as well as for testing the subsystem accepting and processing timetables of market players and the function of the payment administrator. 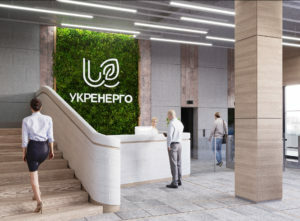 The form of the application for the registration that is to be sent to Ukrenergo in paper and guidelines are posted on the company’s website (https://u.to/aZkCFQ). The company also created a call center for consultations, phone (044) 238 37 00. 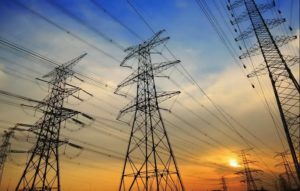 As reported, in July 2019 in Ukraine, the launch of a new model of the wholesale electricity market is scheduled pursuant to the law on the electricity market passed in April 2017. It is planned to move from work on the “single buyer” model to a competitive mechanism providing for bilateral contracts between producers and large consumers, suppliers, the introduction of the balancing market, the day-ahead market and the intraday market. National Energy Company Ukrenergo as part of the modernization of the power grid installed the first interactive dispatch board made by Belgium’s Barco. The board will be launched on March 18, the press service of the company has reported. The board, combined with the operational information complex of the automated dispatch control system, transmits information about the state of the main power equipment of the Western energy system round-the-clock in a multi-window mode. The equipment allows quickly and conveniently displaying the necessary information on any screen window – separate power hubs, diagrams and schemes. In the coming years, it is planned that the dispatch boards will be updated in all other regional dispatch centers. The project, worth UAH 17.5 million, was implemented as part of the investment program of the Western energy system for 2018. Ukrenergo operates trunk and interstate transmission lines, as well as centralized dispatching of the country’s integrated power grids. It is a state-owned enterprise managed by Ukraine’s Finance Ministry. The company will be soon reorganized into a private joint-stock company. Ukrenergo has worked out a concept for the development of cybersecurity for 2019-2023, based on the analysis of the current state of information security in the company, its own developments and the experience of world leaders in the field of cyber defense and information technologies, primarily Israel. 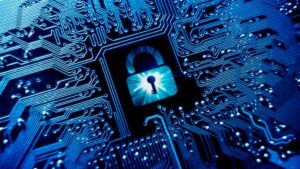 According to a press release, in four years Ukrenergo intends to implement 30 projects in order to enhance the security of information infrastructure and minimize the negative impact of cybersecurity incidents on the company’s work. In particular, the matter concerns the creation of a secure transport network of the enterprise for secure interaction with the outside world, the organization of secure basic infrastructure and data processing centers, as well as setting up an operational security center and organizing professional training for personnel. The draft concept was reviewed and received positive feedback from the Security Service of Ukraine and the State Service of Special Communication and Information Protection. As reported, in June 2017 the computer networks of the Cabinet of Ministers, dozens of state and private large banks and companies in Ukraine became the victims of a massive virus attack, which in some cases led to the cessation of their operations. National Energy Company Ukrenergo has signed a contract with Xian Electric Engineering Co. Ltd. (China) to reconstruct the 330 kV Brovarska substation with the installation of an autotransformer, the press service of the company has reported. 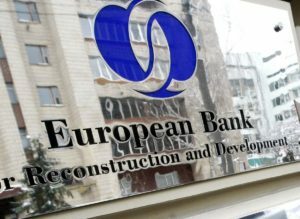 The press service said that 11 companies from eight countries took part in a tender under the rules of the European Investment Bank (EIB), which finances the project. The cost of the project fell by 25%, to EUR 19.4 million. Reconstruction of the Brovarska substation envisages the installation of modern complete switchgears with SF insulation and the modernization of relay protection and emergency control systems. In addition, an additional 330/110/35 kV autotransformer with a capacity of 200 MVA will be installed at the substation. This will ensure the reliability and security of energy supply to consumers of the Kyiv energy hub – Brovary, Boryspil and Baryshivka districts of Kyiv region, including the Boryspil airport, as well as expand opportunities for their further economic development. “Modernization of the Brovarska substation is one of the strategic projects of Ukrenergo. In two and a half years, this substation will be fully automated in accordance with international requirements for reliability and safety,” Deputy Director for Investment Volodymyr Kudritsky said. National Energy Company Ukrenergo has presented the Market Management System platform for two new segments of the wholesale electricity market (the balancing market and the ancillary service market), which has been functioning in the test mode since December 2018. “Now we are trying to organize the schedule of our work in such a way as to create minimally sufficient functionality for launching a new market on July 1,” Ukrenergo CEO Vsevolod Kovalchuk said at the presentation on Tuesday. He recalled that the platform developers intend to suspend work due to slippage in the payment schedule: the Energy and Coal Industry Ministry stopped agreeing on payments after the reassignment of Ukrenergo to the Finance Ministry. Kovalchuk expressed hope that the problem will be resolved in March. To this end, the Finance Ministry and the Justice Ministry will prepare draft amendments to a resolution of the Cabinet of Ministers and the contract of Ukrenergo with a consortium of contractors. 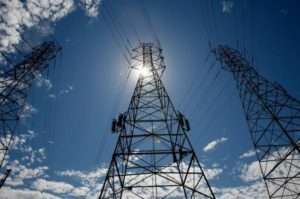 Approval of the changes will allow transferring the payment approval functions of Ukrenergo from the Energy and Coal Ministry to the Finance Ministry, which will unblock the payment process for software being developed for the new wholesale electricity market, the head of the transmission system operator said. Currently, the Market Management System platform operates in test mode. The players of the energy market – producers, electricity suppliers and distribution system operators – are being registered. Data on consumption and transmission of energy is collected for the development of mathematical models that will allow forecasting misbalances in the market of electricity (the difference between predicted and actual consumption). According to Ukrenergo, today the level of filling the platform with data is insufficient, so the indicators in it are not relevant.